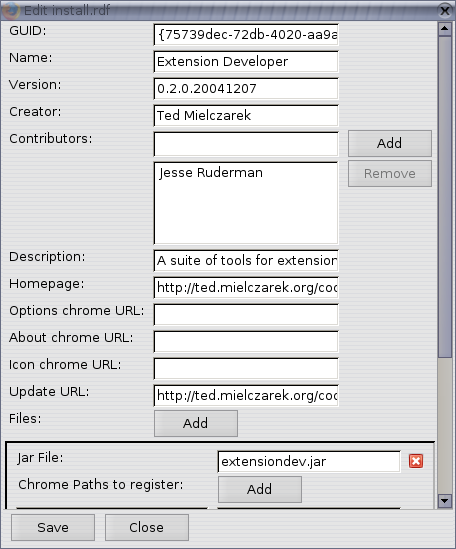 Build your extension's package (jar and xpi files), as well as install your working directory as an extension for development. 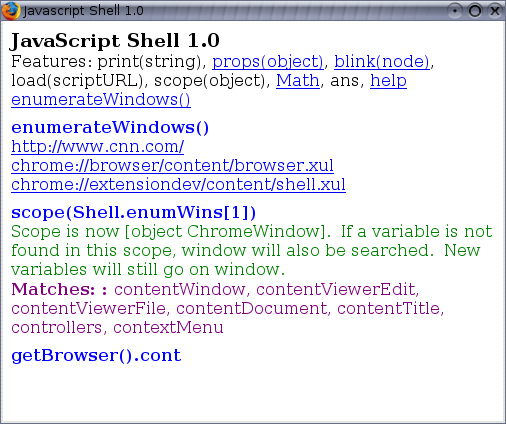 Now provides most of the features of the popular bash build script, including rewriting chrome.manifest to use jar files. 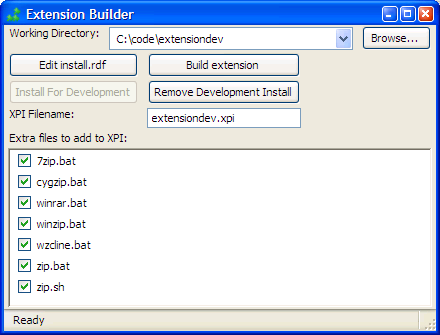 Why edit install.rdf by hand? Use this convenient GUI. 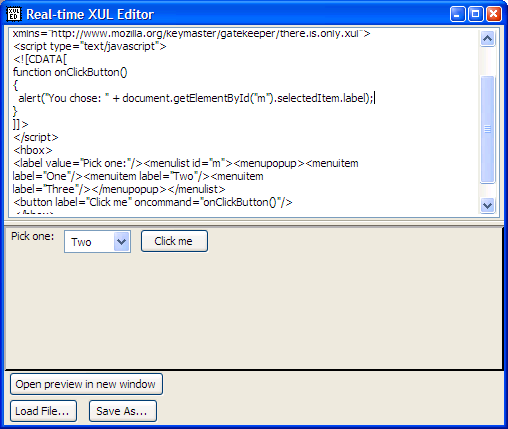 The Live XUL Editor allows you to edit XUL with a realtime preview. 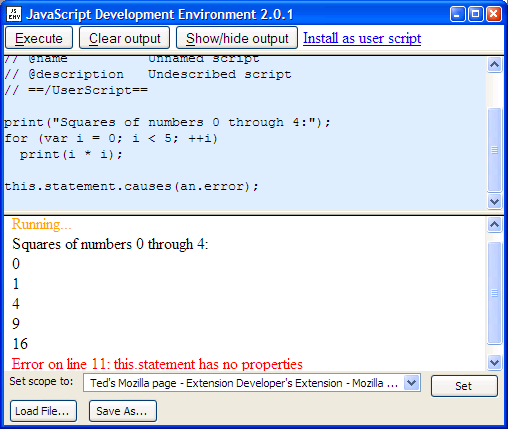 Quickly prototype your XUL layout with ease! Try it online! 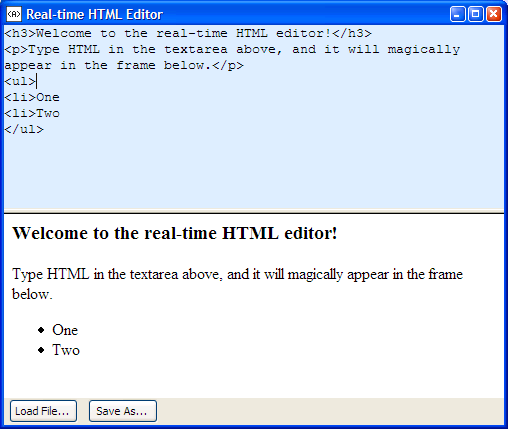 Jesse Ruderman's Live HTML Editor allows you to edit HTML with a realtime preview. Try it online! 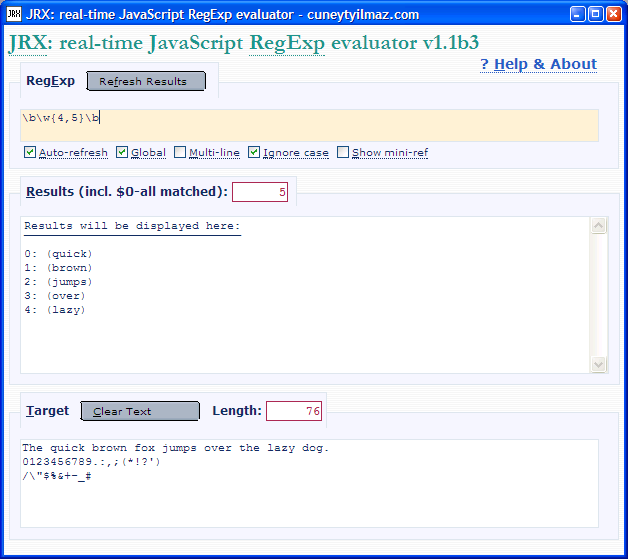 Cüneyt Yýlmaz's JRX allows you to test regular expressions in real time. Try it online! 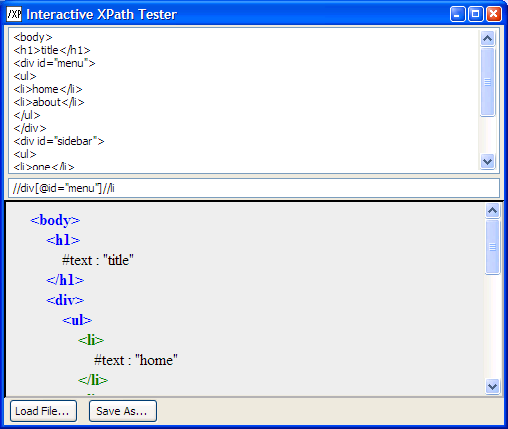 The Interactive XPath Tester allows you to quickly test an XPath expression against an XML document. Based on a tool by Tony Chang. Try the original online! Toggle several preferences useful for debugging in one quick click. 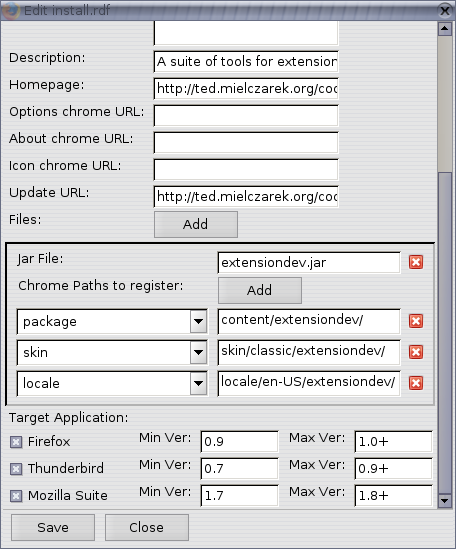 Reload all chrome without caching. Useful for testing overlay changes without restarting.